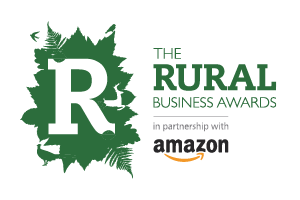 The Rural Business Awards are dedicated to giving recognition to the best in class across a multitude of businesses operating within the rural sector; acknowledging the breadth and depth of opportunity that the great British countryside has to offer. The awards aim to celebrate the achievements of rural businesses, from engineering through to artisan food producers and professional services organisations. Established in 2014, the first Awards were presented in October 2015 and are now entering their 5th year. This year, Rural Solutions are delighted to present the award for Best Rural Tourism Business. Having worked to improve the rural sector via diversification for the past 10 years, we appreciate the effort, hard work and foresight that goes into making a successful tourism business in the British countryside. We’d like to wish all the nominees the best of luck for the night and thank them for all their hard work and dedication to building a better rural Britain. The awards’ ceremony will be held on February 28th at Chateau Impney, Worcestershire. To find out more about the awards and view a full list of nominees, visit the Rural Business Awards website here.